They had ten chidren. Two died young: James in his first year and Margaret Ella (of "membranous croup") at three years. William Thompson, the oldest son, left Wisconsin for Kansas around 1874. He purchased land in Ellsworth County, Kansas, and encouraged his family to join him, but unfortunately he died of typhoid fever the same year. 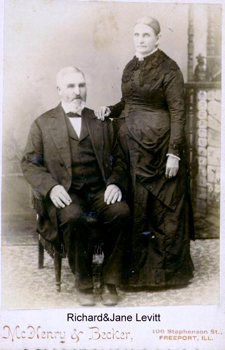 Several of Richard's other children moved to Kansas: by 1878 his daughter Sarah Jane Levitt and her husband Thomas Rowe settled in Wilson where their third daughter was born. Richard's younger sister Harriet Levitt and her husband George Greenough moved with their two daughters to Wilson by 1900. 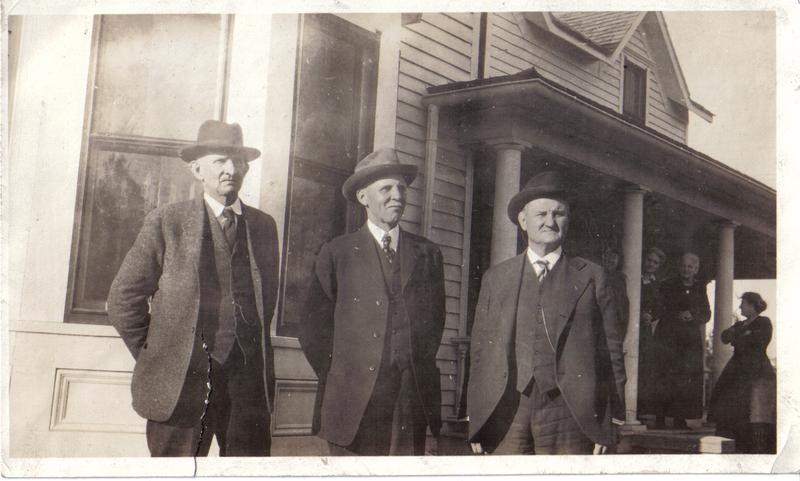 George L. Three of Richard's sons and Richard Thomas Levitt were in Wilson in business together by 1900. 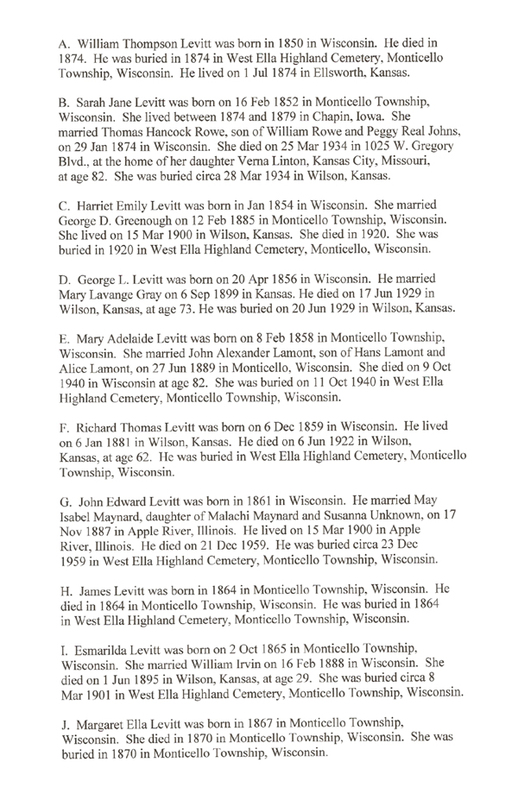 Esmarilda married William Irvin of Freeport, Illinois, not far from Apple River. She became ill as a young adult and moved to Wilson, where she died in 1895. By 1900 most of the family was in Kansas. Only John Edward Levitt and Mary Adelaide Lamont were left in Monticello. But even though most of Richard's family eventually settled in Kansas, he and Jane belonged to Wisconsin. Richard died in Wilson, Kansas, in 1900, and his son Richard Thomas brought his body back for burial in the West Ella Highland Cemetery. On the same journey he brought back the coffin of his sister, Esmarilda.